Everywhere you look “organic” is being used to describe the foods in every aisle of the grocery store. The term has become so widespread that everyone needs to know what the heck it really means. USDA certified organic foods are defined by the United States Department of Agriculture as “foods grown and processed according to federal guidelines addressing, among many factors, soil quality, animal raising practices, pest and weed control, and use of additives. 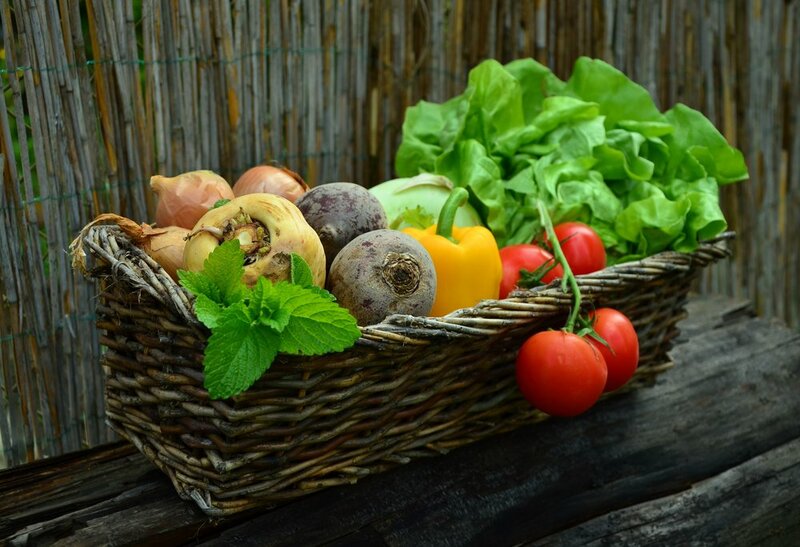 Organic producers rely on natural substances and physical, mechanical, or biologically based farming methods to the fullest extent possible.” There are several categories of organic we will discuss including, processed foods, produce, and animal products. The first category of organics, processed foods, is the most abundantly found in the grocery store. The majority of processed foods contain corn and soy derivatives that are genetically modified organisms (GMOs) and are not required to be labeled as such. Evidence from studies performed to date is considered weak due to the lack of random control trials and epidemiological studies on human cohorts. Due to this fact and the understandable community concern, the organic market for processed foods has emerged to guarantee that packaged foods do not contain GMOs. The public is becoming more aware of the term GMOs resulting in the market creating a new certification called The Non-GMO Project Verified. This new certification has reduced the need to purchase organic because the consumer can rest assured knowing the ingredients are non-GMO. This opens up competition that benefits the consumer by reducing prices and offering more variety. Produce is another category of organic foods found in the grocery store. We use the term produce to describe fresh products that are generally in the same form as when they were harvested from the farm. Lets focus our discussion on fruits and vegetables found throughout the grocery store. Modern agriculture’s use of synthetic chemical fertilizers and pesticides has revolutionized the industry throughout the 20th century. Chemicals were introduced into our food supply without much investigation into the potential negative impacts on our health. Test results on fruits and vegetables show evidence of several foods contain significantly higher pesticide residues than others. Individuals who are concerned about chemical contamination of their produce may consider purchasing organic these 12+ “dirty” fruits and vegetables: strawberries, apples, peaches, pears, cherries, grapes, tomatoes, cherry tomatoes, sweet bell peppers, cucumbers, celery, spinach, lettuce, and potatoes. These fruits and vegetables are considered the “clean” 15: pineapples, papayas, mangos, honeydew melons, cantaloupes, kiwis, grapefruits, avocados, sweet corn, cabbage, onions, sweet peas frozen, asparagus, eggplant, and cauliflower. Last but not least, the animal products category which includes meat, eggs and dairy. This category is the most confusing because organic is only referring to the type of feed given to livestock, usually corn and soy. While organic feed is better than conventional feed, livestock did not evolve to eat corn and soy. 100% Grass-fed cows and free range chickens and hens are ideal when purchasing animal products however they can carry a hefty price tag. Organic is a term that has become ubiquitous in our culture and can mean many different things depending on what category of food being described. For the consumer on a budget, there are now several more affordable options that can result in similar health benefits as 100% organic, free range and grass-fed. If price is not an issue, the organic consumer has a full range of organic grass-fed and free range options with an organic market that is growing with increasing speed.